With the warm waves of the Mediterranean lapping its shores and located on the Franco-Italian border where the Alpine chain meets the sea, Menton offers something to indulge all tastes. Indeed, as five-time winner of France's Best City of Flowers award, many of which are evidence of the region's sub-tropical climate, we think the 'Pearl of France' is the perfect base from which to explore not just the familiar sights of the French Riviera, but many of its hidden treasures too. Using a range of local transport your experienced local guide will lead you on a week of wonderfully varied walks, taking you along picturesque coastal trails, lined with orange trees and vibrantly coloured mimosa. then it's on through beautiful mediaeval mountain villages with magnificent views overlooking the Riviera including Eze and Castellar. On a clear day you may even spot Corsica! take time to discover the delights of Menton, from its beautiful gardens to the beaches and port to the old town. You'll also head to the affluent principality of Monaco to indulge in its renowned glamour and luxury. Throughout the week, you'll be staying at the Hotel Balmoral. 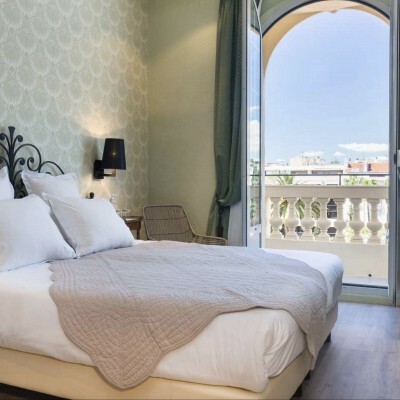 this charming hotel, with its well-appointed rooms, is just a five-minute walk from Menton town centre, where there is a wide choice of restaurants to choose from for your evening meals. 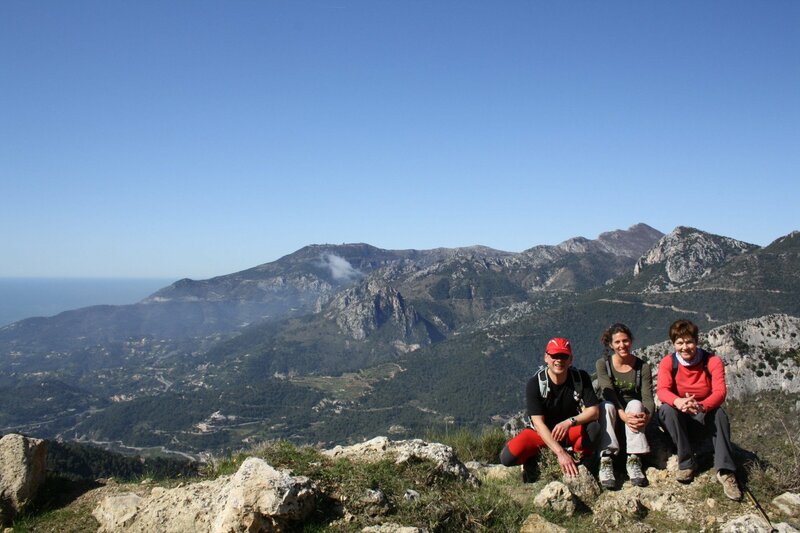 This varied level 2 holiday includes walks along mountain paths and coastal trails. Some sections are rocky and uneven so good, supportive footwear is essential, and walking poles recommended. Our base for the week is the Hotel Balmoral in Menton. Situated just a short stroll from the train station, beach and shops, it's ideally located for a week of fabulous walking. In the evening our guide will hold a welcome briefing to discuss the week ahead, give advice on the local area and answer any questions. The week's adventures start from the hotel as we walk around the beautiful wooded Cap Martin Peninsula, framed against a dramatic cliff-front backdrop and overlooked by the perched village of Roquebrune. the walk takes us through this old village, located between Menton and Monaco, and affords breathtaking vistas of the Mediterranean Sea. Dominated by a charming C10 chateau-fort, the narrow, stepped streets, deep-vaulted passages and enchanting little squares are perfect to explore on foot. We begin today with a 45-minute bus journey to Sospel, a peaceful village located very near to the Italian border and an erstwhile important staging post on the royal road from Nice to Turin. Bombed by the Germans during WW2 to isolate the French Resistance, much of the town has been rebuilt. Remnants of the architectural heritage are still evident, however, and the cobbled street, gothic houses and Baroque cathedral make a picturesque starting point for our walk. From here, we walk along the border of the Mercantour national Park before a return bus trip to the hotel. This morning we take the train or bus to Monaco, followed by a second bus to La Turbie. From here we'll enjoy views over Monaco and a balcony walk to the C14 village of Eze, a pretty little village described as an 'eagle's nest' due to its location atop a hill, 400m above the sea, with magnificent views of the coast. Having previously been occupied by the Romans, Moors and the House of Savoy, the village centres on the ruins of a C12 castle and is famous for producing cloves and orange fruit. From here we'll return to Menton by bus. 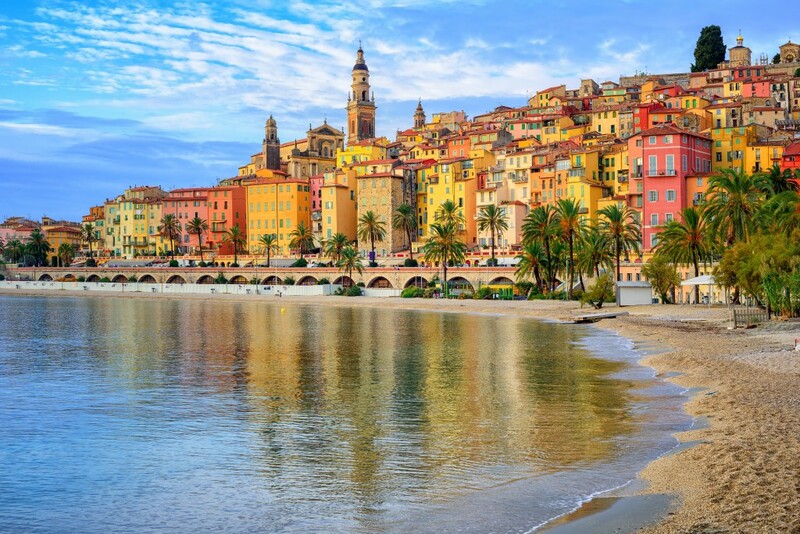 Options abound as you better acquaint yourself with the various architectural styles in Menton's old town; the Belle Epoque market, open every day from 5am to 1pm in the summer, and the Baroque basilica of Saint-Michel-Archange are well worth a visit. La Serre de la Madone, Maria Serena, Val Rahmeh and Fontana Rosa are four of the town's elegant public gardens and showcase a huge variety of flora. Alternatively, you have the option to visit Monaco, cross the border into neighbouring Italy or simply bathe in the sea and relax on the beaches. Taking the public bus we reach the perched village of Castellar. Dating back to the C15, it's situated on the French-Italian border and made up of winding cobbled streets, quaint shops and gives an insight into traditional mountain living. From here we walk up to the Italian border; those with the energy can walk all the way back to Menton whilst those looking for a more gentle day can hop on the public bus. After a short train journey, our week concludes with a final coastal walk around Saint-Jean-Cap- Ferrat, one of the most beautiful Caps on the French Riviera. As the route hugs the shoreline and follows limestone cliffs, we'll see beautifully tended gardens flourishing with a mix of flora and fauna. there's even time to visit Villefranche-sur-Mer with its C16 citadel and the Saint-Pierre Chapel decorated by the famous French writer/cineaste Jean Cocteau. On returning to the hotel, enjoy an aperitif on the sun terrace or stroll along the coastal path. 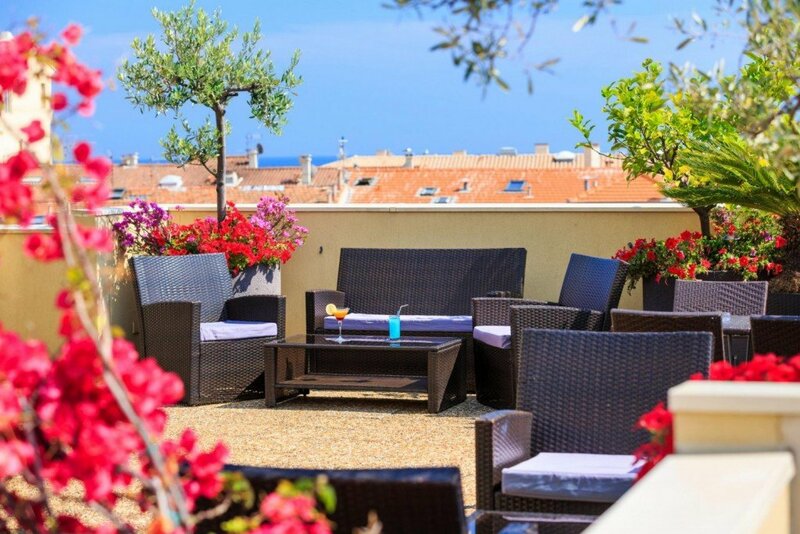 Situated just a 3 minute walk from the sea whilst being in the heart of Menton, this comfortable, contemporary hotel makes the perfect base for a week of walking. The hotel has a restaurant, a bar/lounge, 24-hour reception and a rooftop terrace with sun loungers and seating areas. All rooms are en suite and come equipped with air conditioning, TV (with satellite channels), minibar, coffee maker and hair dryer. 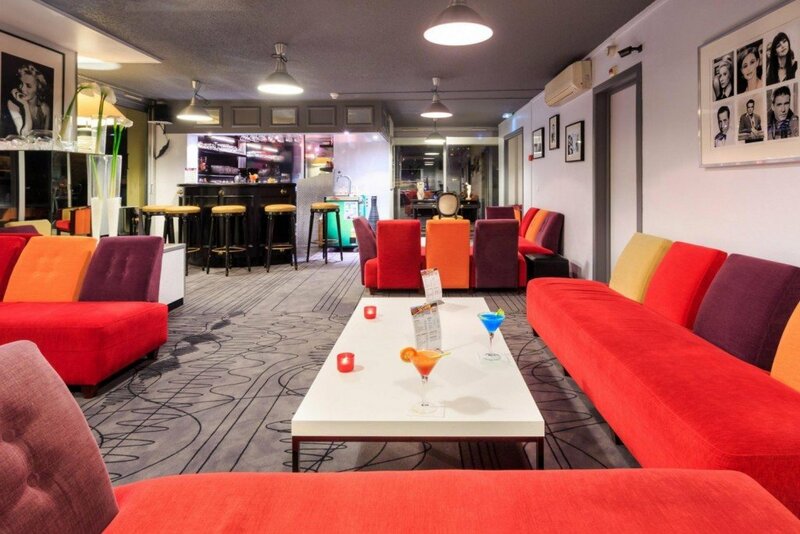 Underground parking is available at an extra cost and Wi-Fi is available throughout the hotel. wonderful holiday with excellent guide. The accomodation in Menton was good and the location was excellent. Food for dinner at recommended restaurants was excellent also. The group became a bunch of very friendly fellow holiday makers in no time. The local guide was experienced and competent. A wonderful way to enjoy great walks in superb scenery, with a very knowledgeable guide and good company, without having the worry and responsibility of planning all the details - which makes the whole experience much more relaxing. The holiday was everything I hoped for and expected. Beautiful location and weather with lots of wild flowers I had hitherto only seen in books. The people in the group were a good mix, we all got on well together and our common interest cut across the wide age range. Our guide Stephanie was wonderful in every way . She was friendly and personable with a good sense of humour and was a fund of knowledge on the the location, historical background, flora and fauna. We could not fault her! The website was easy to negotiate and very user friendly. Great holiday if you are fit and active. Some of our group struggled as they were expecting gentle strolling. On arrival we were told that no sea view rooms were available even though we had paid for one booked months ago. The hotel staff had little idea how to deal with this situation. Consequently we were highly disappointed. Eventually they found one, although it was nothing like the standard of accommodation that we were expecting, having recently stayed on La Palma with headwater. We notice that Exodus have more information in their brochure. Spectacular views of the Mediterranean from the mountains above Menton and Monaco. Excellent guide who made a lot of effort to ensure that we had a great holiday. Got to see some very different aspects of the French Riviera. Great walking, good food and good company. A delightful holiday satisfying my need for aesthetic, athletic, intellectual, emotional stimulation....& all so easy....in one gem of a town! 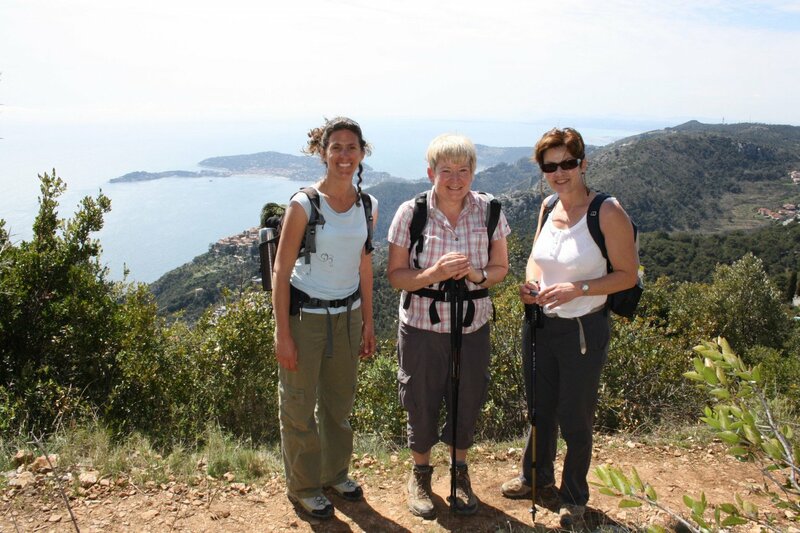 Excellent group walking holiday in beautiful coastal countryside. Lovely walks to medieval villages and great to use the local buses and trains to get to high up villages. Good mix of walking and exploring local life. our guide Stephanie was absolutely excellent in all respects, encouraging, organised, helpful and she joined in with the group so well. Lively group diinners in the hotel. Menton good base for holiday, plenty of shops plus interesting places to vist. Hotel was by the seafront, excellent location. Rooms were very small though and the ones at the back were noisy with street noise. Pace of the walking is dependent on the ability of the group, ours was mixed but everyone joined in well and were patient when it got slower on steeper descents. This was one of the most enjoyable holidays I have had. A very enjoyable holiday in a beautiful area - excellent guide. 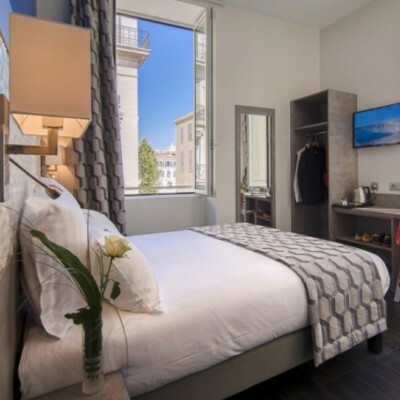 Selected Saturdays from 11th May 2019 to 28th Sep 2019, for 7 nights. All dates are subject to availability, please contact us to check. Due to the tailor-made nature of our holidays, we need a little more information in order for us to check availability for Walking the French Riviera. Simply complete the form below and a member of our sales team will contact you (when it's most convenient for you) to provide availability information, travel options and an accurate price. Of course there's no obligation, but if you do wish to proceed with a booking they will be on-hand to assist you throughout the process.